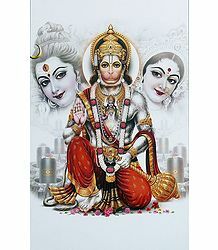 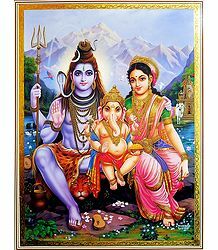 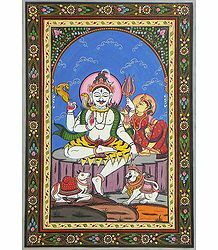 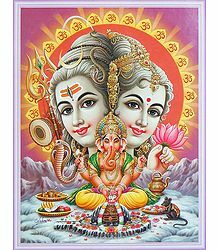 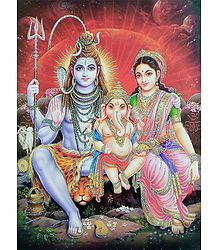 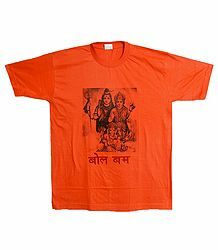 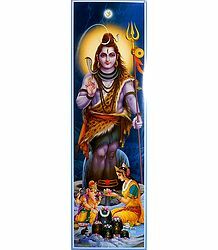 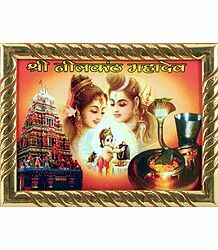 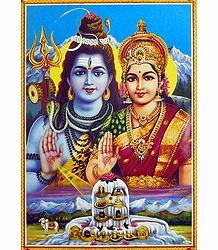 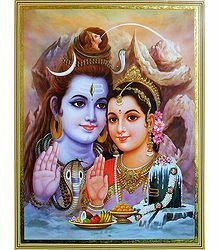 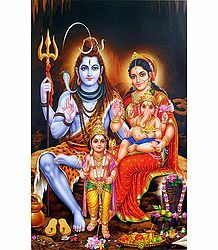 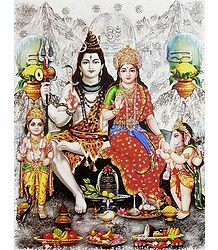 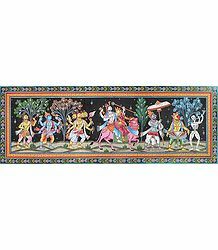 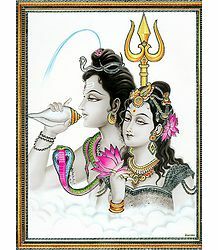 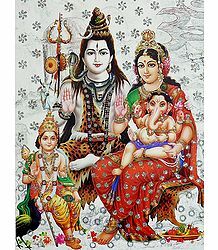 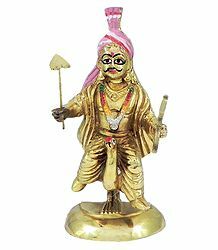 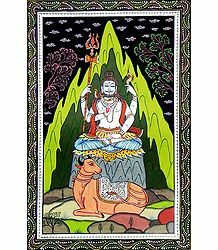 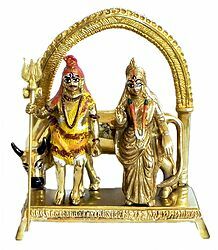 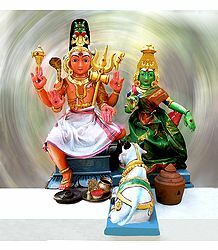 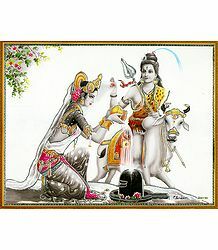 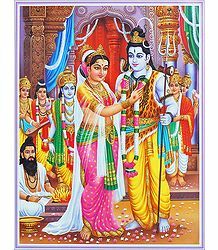 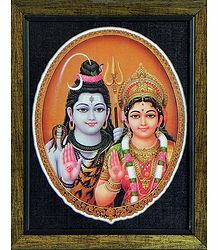 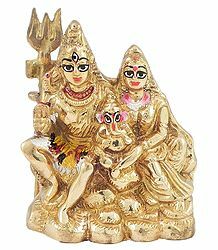 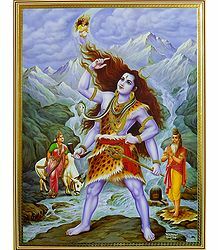 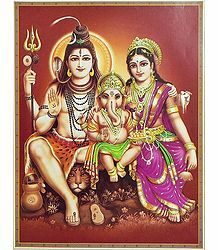 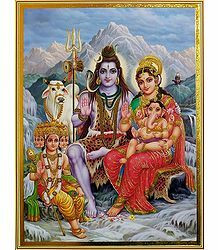 Shiva Parvati is one of the most popular of Hindu God couples. 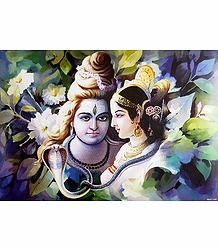 Shiva being an ascetic and Parvati being an epitome of beauty, they contrast each others' traits as well as complement each other's love. 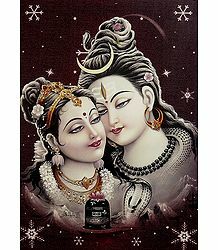 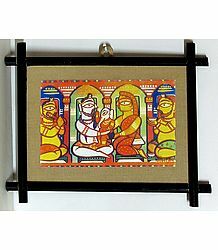 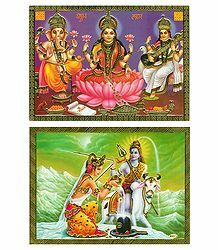 Each Shiva Parvati artwork in our collection has something unique to offer.